MUMBAI, India – Shivnarine Chanderpaul is set to become the first West Indies player to appear in 150 Tests during the second Test against India, starting on Thursday at the Wankhede Stadium here. Chanderpaul, aged 39, made his Test debut 19 years ago on home soil at Bourda Oval in the Guyana capital of Georgetown, becoming the 204th player to wear the maroon cap of the Windies. "Tiger", as he is universally affectionately known, appears likely to take the milestone in the same stride that he has taken his batting over the years. "It's not every day that someone gets to play 150 Tests, so it's a milestone for me, and I am looking forward to it," said Chanderpaul, following a full training session with his teammates in humid conditions on Tuesday at the match venue. "I never thought I would get this far in the beginning, but who knows where you can go if you keep persisting." Chanderpaul, a durable left-handed batsman, will remain seventh on the list of players that have made the most appearances in Tests. Indian star batsman Sachin Tendulkar heads the list of most Test appearances and is set to play his 200th and final match in this Test. The 2008 ICC World Player-of-the-Year has scored 4,161 runs at an average of 70.52 in 48 Tests since 2007 including 14 hundreds. 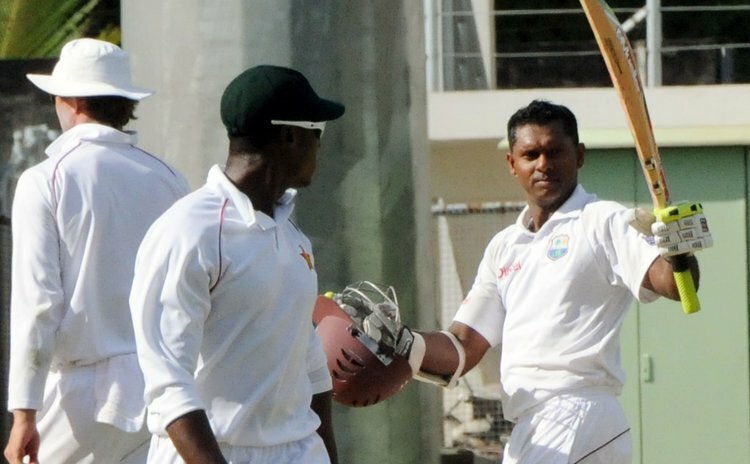 On the way he has maintained his batting over the years, Chanderpaul said: "It takes a lot of work. You have to put in a lot of work. As an individual, you have to pick yourself up to go to the nets, do a lot of work and practise the way you are going to bat in the game. "There are so many things you have to do – training, keeping the fitness and everything that it takes to get on the park and get your work done. And also maintain a standard you think will help you to succeed at the highest level." On the question of his role in the team, Chanderpaul said: "I know we have had a lot of players in the past who played a lot of shots. But I have also looked at a lot of other players and tried to find a way you can fit in, and a way you can add value to the team. I figured out that might be the best way for me. On his place in the batting order, Chanderpaul said: "I have been batting at five over the years and I think our batting line-up is settled. We have got the two openers – Chris Gayle and Kieran Powell – and we have young Darren Bravo, who has done well batting at No.3. Marlon Samuels has come into bat at No.4 and I have been batting at five for a long time. I think where I am batting is okay, but we just need to bat and bat a little longer." Chanderpaul enters the Test with 10,897 runs at an average of 51.89 and has collected 28 hundreds and 61 half-centuries. Only fellow left-hander Brian Lara has scored more runs (11,912) for West Indies. "It will be good to get there [past Lara], but it will be a lot of work," he said. "It's 1,000 runs and it may not look like much, but it could be a challenge." Chanderpaul, who captained West Indies in 14 Tests between 2005 and 2006, said not being part of a side that has won Tests regularly has been difficult when he was asked about the most challenging moment of his career.